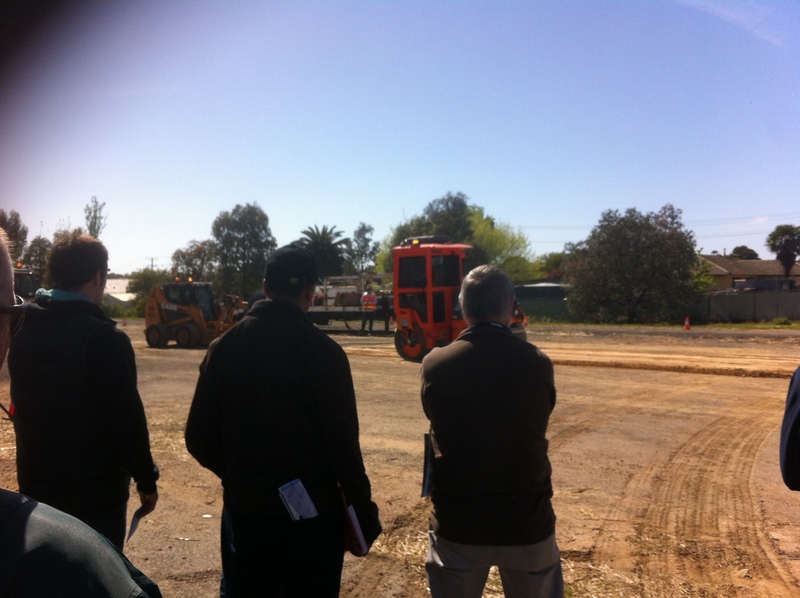 Wednesday 26th and Thursday 27th March at The Hotel Windsor is where the Public Works Community will gather for the 2014 IPWEAvic Public Works Conference – Engineering a Liveable Community. An exceptional professional development opportunity has been developed over 2 days with dedicated streams offered in Roads/Transport/Traffic, Waste and Recovery Management, Service Levels for Managing Assets, Project Management. We are delighted to be partnering with Assetic, Downer edi, Cyndan, Conquest Solutions and Dial Before You Dig who will all have exhibitor stands at the event. Should be a great couple of days – There’s also a wonderful Gala Dinner planned for the Wednesday night, as well as a tour of Treasury Building to look forward to. 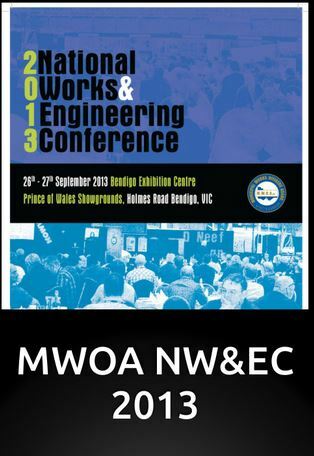 Held on 26th and 27 September 2013 the National Works & Engineering Conference for 2013 was a great success. With over 300 participants, a hall full of exhibitors and opportunities to see first hand how some products are used, it created a great atmosphere of camaraderie amongst all public works practitioners present. The opening session motivational speaker had a clear message that communication is key to leadership. The dinner speaker showed us one way to be famous is to pick something that no one else is famous for – in his case it was being the Australian Sudoko champion. The tool box sessions were popular. 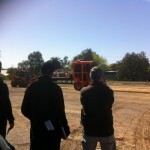 Here, graffiti removal products are being demonstrated. 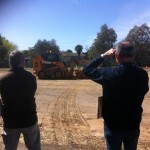 A demonstration patch was successfully placed in a section of the car park in about half an hour. The closing speaker was Steve Monoghetti, our famous marathon runner from Ballarat. He spoke about his journey to reach the commonwealth games team and then on to the olympics team using the term POWER where “P” is potential and “R” is the ability to realise the potential and the “OWE” is an outstanding work ethic or in other words shear hard work! 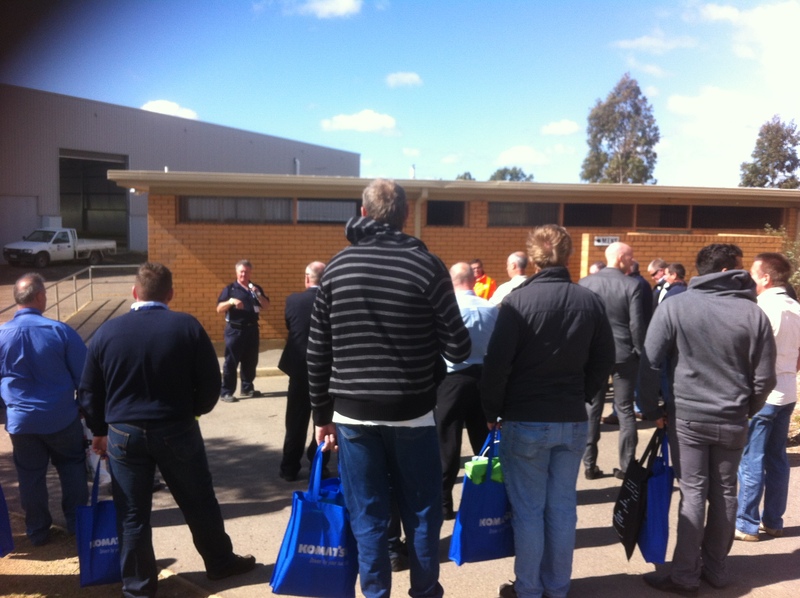 The Institute of Public Works Engineering Australia (IPWEA), Victorian Division, have been convening the outstandingly successful IPWEAvic Public Works Conference for a number of years. 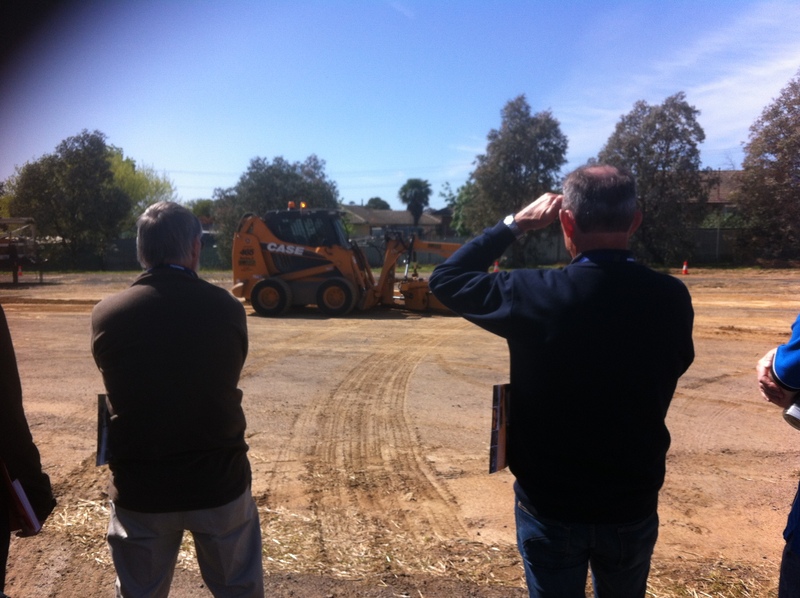 This event is recognised as the key annual public works technical event for the local government and public works sector and attracts over 150 participants, including both managers and Councillors from local government as well as consultants and contractors. The conference is to be held over two days at The Hotel Windsor, 111 Spring Street Melbourne on 26th and 27th March 2014. The Annual IPWEAvic Awards for Excellence will be held at a Gala Dinner on the evening of Wednesday 26 March 2014. Communication will be with presenting author only. Abstract receipt & acceptance acknowledged by email. Special 1-day “Tech-Talk” stream, with focus on issues for public works engineers in the NT. You will also have the opportunity to take part in an exciting range of social eventswhilst at the conference, designed to make the most of Darwin’s unique tropical setting. Don’t miss this opportunity to Explore New Territory – Register now! Go to www.ipwea.org.au/Darwin2013 for further information. 2013 AITPM National Traffic and Transport Conference is being held in Perth and will commence on the evening of Tuesday 30 July and run through until Friday 2 August. The conference information brochure and registration form are available online at http://www.aitpm.com.au/attachments/article/21/AITPMConferenceBrochureMaster.pdf and http://www.aitpm.com.au/attachments/article/21/AITPMRegoFormMaster.pdf respectively. Members can take in all three days for the early bird price of $1100. This is a three stream conference with; Transport Planning, Traffic Engineering and Transport Modelling over two days. Each of these streams will offer a broad array of high quality presentations and you are free to swap between the different streams for each session. The full abstracts for each paper are up on the AITPM web site so you can start exploring which sessions you want to attend and more importantly start building your case for travel approvals. Following the first two days will be an extension of the conference with three one-day Interactive Forums; Long Term Transport Planning-What’s Happening Around Australia, Freight-Challenges and Innovation and Transport Modelling-Sharing Knowledge and Exploring Ideas. These forums will be a series of presentations followed by a number of discussion topics for your to get involved in and put your ideas forward. For the Long Term Transport Planning and Freight Forums we have arranged for high-level experts for each State Road/Transport Agency to make a presentation on what is happening in their state to provide you with a truly national perspective. The formal part of the Forums will conclude at 3pm to allow sufficient time for attendees from interstate to return travel to the airport for flights. For those staying back and the local attendees, the forums will continue with an informal session through to about 5pm. More details on these forums will be made available later this month. 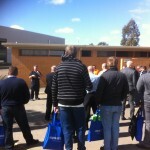 Networking opportunities will again be a key part of the conference. The conference starts with a Cocktail function in the evening of Tuesday 30 July, where you will have a great opportunity to catch up with old friends, meet new friends and visit the trade booths while also taking in some great entertainment. On the evening of Day 1, Wednesday 31 July, we will be holding the Premier Conference Dinner at Frasers Restaurant with outstanding views back over the Perth skyline. At the close of Day 2, Thursday August 1, we will be having the main conference closing event with entertainment, which will be followed by an informal networking event at the Moon and Sixpence Pub. Finally, there will be informal networking after the Interactive Forums on Day 3, Friday August 2 and for those who are staying for the weekend, a winery river cruise through the Swan Valley on Saturday 3 August. With all of these networking activities, there is nothing for you to organise, this is all taken care of by AITPM, leaving you free to relax and make the most of the opportunity. 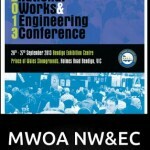 Did you attend the 2013 IPWEAvic Public Works Conference on 20 and 21 March 2013? If you attended, have you particiapted in the post conference survey? If, not, please take 5 minutes to give the IPWEAvic Events Committee some feedback about the event to assist us in planning future such events.